It's been hardly five months since the OnePlus 6T broke covers in late October and hit stores in November and now, OnePlus is reportedly planning to bring the company's next big flagship phone new OnePlus 7. 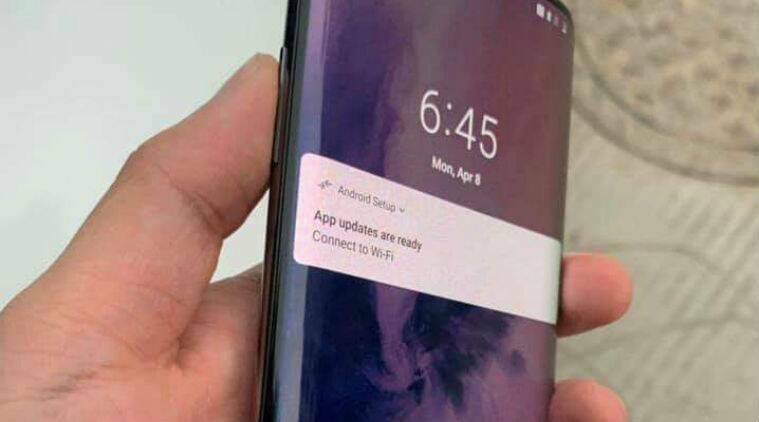 According to a post on Twitter by Tipster Ishan Agarwal, OnePlus7 Series smartphone will be launched globally on "14th May" 2019! We haven't heard much official news about the next OnePlus so far, so my guess is that this will be the start of the road to the OnePlus 7. There's also the 5G phone, which rumors suggest may be a OnePlus 7 Pro 5G. OnePlus 7 will also have a pop-up selfie camera powered by a motor and placed at an off-center position. The Pro variant is also expected to come with curved display. That handset is also said to include 48, 16, and 8-megapixel cameras on the back, and those three cameras will be vertically aligned, while its front-facing unit will be hidden away until called upon in the camera application. That handset will be fueled by the Snapdragon 855 64-bit octa-core processor, and that probably goes for all OnePlus 7 variants that the company ends up releasing next month. OnePlus's 7 Pro 5G will be its first 5G handset, with United Kingdom carrier EE expected to be OnePlus's first 5G partner. It is actually even possible that the OnePlus 7 may be identical to the OnePlus 7 Pro but ship with less RAM, who knows.